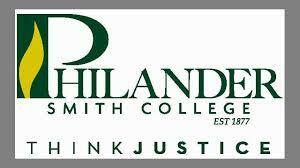 Philander Smith College is accredited by the North Central Association of Colleges and Schools, National Council for the Accreditation of Teacher Education, Association for Collegiate and Business Schools and Programs, and the Council on Social Work Education and currently offers four degrees: the Bachelor of Arts, Bachelor of Science, Bachelor of Business Administration, and the Bachelor of Social Work, which could be a perfect program for incoming active military or veteran students. In the past the College’s mission has been to grant access to higher education to individuals who are, or who have the potential to be, academically talented, regardless of social, economic, or educational background . Although many of our students have stellar academic backgrounds, Philander Smith College also has the ability to nurture students who have been overlooked by other colleges. Many of our students come from low-income families and it is not uncommon that they are the first in their family to attend college. Philander Smith College provides all students with the resources they need to succeed, which includes the post 9/11 GI bill. Some students may also enter the college as average high school students, but emerge later with the capacity and motivation to pursue graduate and professional degrees and excel in their fields. The College is nestled near the progressive epicenter of downtown Little Rock which encompasses the thriving cultural and business River Market District and the William J. Clinton Presidential Center. Little Rock is the state capital of Arkansas, and is located at the foothills of the beautiful Ozark Mountains and on the south bank of the Arkansas River. The city is served by airlines, trains, bus lines and both interstate and state highways. 900 W. Daisy Bates Drive.